Looking for unique dog birthday cake ideas? Bake this purple dog birthday cake that is loaded with a purple surprise! 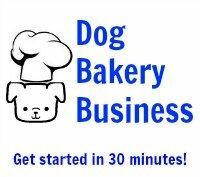 It will guarantee that your dog gets treated to a special, original birthday cake. This purple dog birthday cake is purple inside too! 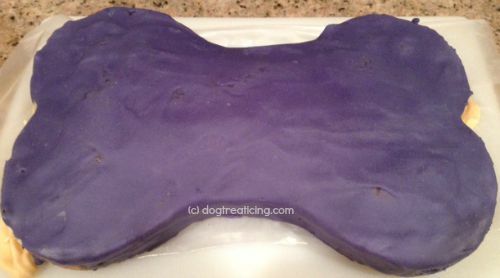 We choose a deep purple powdered coloring for the Fido's Frosting and call this cake the "Purple-icious" birthday cake for dogs. Baked in a bone-shaped silicone cake pan, it is easy to remove and bakes perfectly. This sweet potato has similar nutrients to the familiar yellow sweet potatoes and orange yams, only it is purple in color. It tastes like a yellow sweet potato and cooks just like one too. When the cake is finished baking, this is how it will look inside. 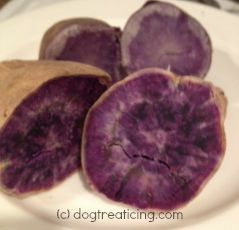 The potato retains its purple color. This cake is all natural! The secret ingredient is an Okinawan Purple Sweet Potato, which can be found in groceries carrying Asian food products. This potato is purple inside. The purple color comes from antioxidants, of which the potato is loaded. Fold in the mashed purple potato. Pour the dough into the bone shaped pan. 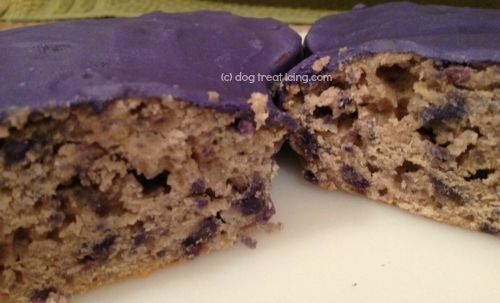 Frost with purple Fido's Frosting dog treat frosting. Frost with purple Fido's Frosting. 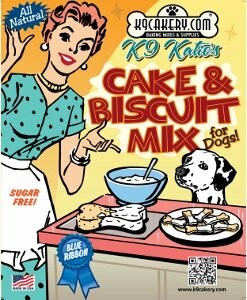 Click here for another fun dog birthday cake recipe.